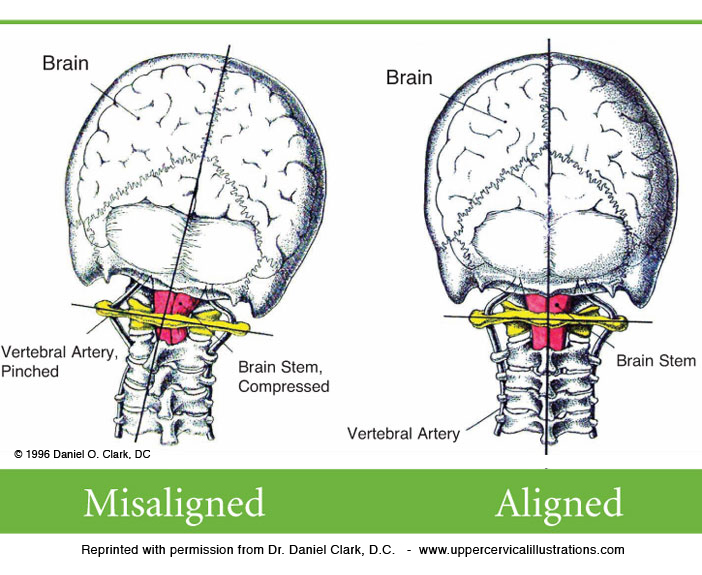 upper neck misalignment has been implicated in chronic ear infections in children. 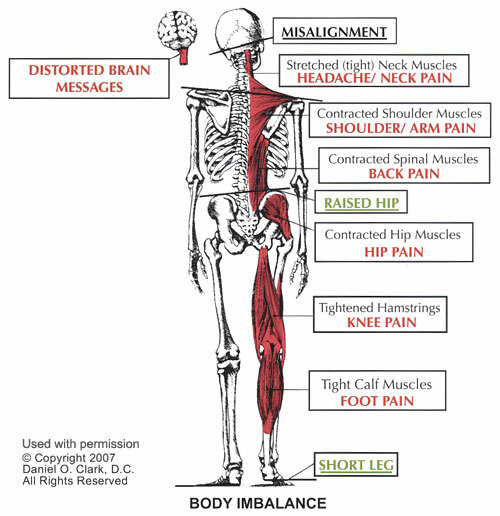 upper cervical chiropractic care is a natural drug free approach that can help. Suffering With Chronic Ear Infections or Ear Aches? The Common Denominator May In Fact Be An Atlas Misalignment! According to the Center of Disease Control (CDC), the American Academy of Family Physicians, and the American Academy of Pediatrics, ear infections with fluid build-up (otitis media with effusion) do not require the use of antibiotics. In fact, one study with 3,600 children found that the children who did not take antibiotics had a higher rate of recovery than those who did take antibiotics. Despite these clear guidelines, many pediatricians continue to prescribe unnecessary antibiotics for the treatment of ear infections. This error contributes to the development of antibiotic resistant bacteria. 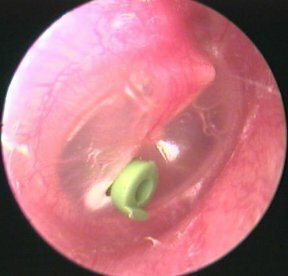 When antibiotics are not successful in treating ear infections or if a child has multiple infections, specialists often prescribe myringotomy and tympanostomy, more commonly known as “ear tubes.” During this surgical procedure, general anesthesia is used and a small opening is cut into the eardrum to place a tube inside. In most cases, the membrane pushes the tube out after a couple of months and the hole in the eardrum is closed with scar tissue. If the infection persists even after tube placement and rejection, the entire surgical procedure is performed again, or children may undergo adenoidectomy (surgical removal of the adenoids). Unfortunately, most children who have this procedure have recurrent fluid build up (effusion) within two months, resulting in permanent structural damage to the tympanic membrane (ear drum) in 40% of the children who have had ear tubes. Ear tubes have even caused 25% of the children to suffer total hearing loss. It is amazing that in the face of this evidence, not to mention the risks and costs associated with antibiotics and surgery, ear tubes remain the treatment of choice in many medical practices. According to the American Academy of Pediatrics, over five million children suffer from chronic ear infections, resulting in 30 million visits to doctors’ offices and over 10 million prescriptions of antibiotics each year. 50% of the antibiotics prescribed for preschoolers are for ear infections. Symptoms of ear infections may include mild discomfort, irritability, fever or severe pain. Almost half of all children will have at least one middle ear infection before they’re a year old, and two-thirds of them will have had at least one such infection by age three. Frequent ear infections are the second leading cause for surgery in children under two - right behind circumcision. 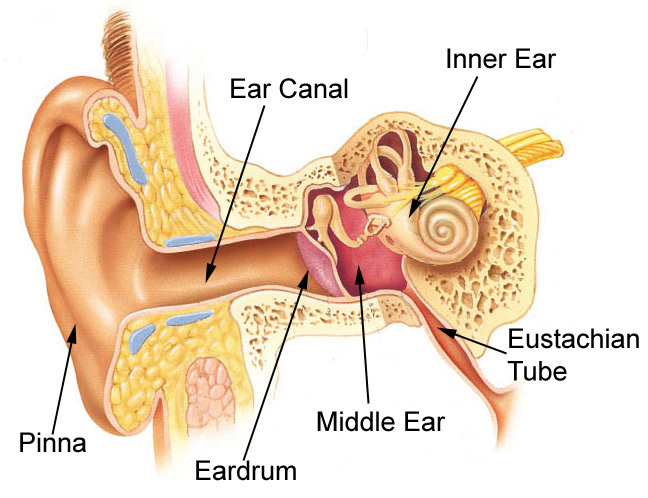 The eustachian tube acts as a valve that connects the back of the nose to the middle ear and allows air to enter behind the sealed eardrum. This muscular tube normally opens and closes to equalize pressure changes in the outside air. An example would be the “popping” sound people describe when going up or down a mountain or flying in an airplane. The ability of the inner ear to open or “pop” is essential in preventing ear infections or other inner ear disorders. The only muscle responsible for opening the eustachian tube (tensor veli palatini) is directly controlled by nerve fibers at the top of the neck. A Highly Effective Approach To Ear Infections? Before taking another round of maybe-they’ll-work-and-maybe-they-won’t antibiotics or undergoing a drastic procedure like surgery, consider Upper Cervical Chiropractic Care. Upper Cervical Chiropractic is a viable, non-invasive way to help your child with chronic ear infections. One study shows that after receiving a series of upper cervical corrections, 80% of the children were free of ear infections. Upper Cervical Care enables the inner ear to open and drain which, in turn, allows the body to resist the build up of fluid and possible infection. Many children develop their own antibodies and recover quickly and naturally without the use of unnecessary antibiotics and tubes. The discomfort of chronic inner ear infections, lost days of schools for children, and lost days of work for parents can become a thing of the past. 1. Fallon, JM; The Role of the Chiropractic Adjustment in the Care and Treatment of 332 Children with Otitis Media; Journal of Clinical Chiropractic Pediatrics; Vol 2, No. 2 1997. 2. Feranti M, Alcantara J, Brinkley C; Chronic Otitis Media, Failed Tympanostomy Tube Surgery & Resolution Following Adjustment of Vertebral Subluxation; Journal of Pediatric, Maternal & Family Health - Chiropractic; Vol 2016, Issue 1, Pages 5-8. 3. Stone-McCoy, P; Resolution of Otitis Media & Avoidance of Tympanostomy Tubes in a 16-Month Old with Birth Trauma Following Subluxation Based Care: A Case Study and Selective Review of Literature; Journal of Pediatric, Maternal & Family Health - Chiropractic; Vol 2013, Issue 2, Pages 39-46. 4. O'Connor K, Schneider G, Alcantara J; Resolution of Otitis Media, Improvement in Hearing & Avoidance of Myringotomy Tubes Following Chiropractic Care in a Child: A Case Report & Selective Review of the Literature; Journal of Pediatric, Maternal & Family Health - Chiropractic; Vol 2014, Issue 3, Pages 47-54.